Well, it’s that time of year again – and there it is; just four words into an article on Christmas I’ve used the word ‘time.’ Among the hodge-podge of rituals and holidays that survive in the post-Christian West, Christmas might just be the one that tells us the most about how humans relate to and experience temporality. That might sound like a strange claim. After all, we have other yearly rituals that seem to be much more explicitly concerned with time. Birthdays are staging posts on our journey from childhood to youth to middle age to dotage. (The Canadian public intellectual John Ralston Saul wrote that where once we sang the Latin Mass over the born, the living, the dying, and the dead to mark their passage through this vale of tears, now we make do with ‘Happy Birthday’). New Years Eve is a time when we tend to take stock of a year that’s gone and make resolutions for the year to come. The resolutions don’t usually stick, admittedly, but that’s not really the point. What matters is the sense of narrative coherence – of what Ricoeur, drawing on Aristotle, calls our ‘emplotment’ – that we give to the time of our lives through such resolutions. Christmas, by contrast, isn’t cumulative in the way that birthdays and anniversaries are. We do have first Christmases with babies, last Christmases with the gravely ill, and first Christmases without the departed; but otherwise Christmas doesn’t seem to mark passage and development in the same way. You might be celebrating, say, your 42nd birthday next year, but I doubt you’re thinking of this as your 41st Christmas. Even in stories where some sort of personal conversion happens at Christmas, the festival is more stage setting than essential plot point. You can imagine Scrooge’s encounter with ghosts, or an epiphany that makes the Grinch’s heart grow three sizes, happening at any time of the year without it throwing the narrative logic of the story out too much. Each individual Christmas is, in a sense, self-contained. Christmas is connected to the past via traditions, but taking part in these traditions doesn’t focus on their past but on their present. They’re what Kierkegaard calls a ‘repetition’ in his somewhat specialised sense: whereas recollection is ‘repeating backwards’, repetition is ‘repeating forwards.’ We don’t merely relive past Christmases; we do Christmas anew each year. And I don’t think I’m alone in saying it feels like the repetition keeps accelerating. I don’t just mean that shops put their Christmas (and Easter) paraphernalia out earlier each year, though I’m more than happy to complain about that. Rather it seems like time itself is getting faster and faster. There’s an interesting disagreement in mid-20th century phenomenology about how we relate to the future. Heidegger – who as my colleague Matt Sharpe explains is deeply controversial at the moment – viewed time as constituted by ekstasis, being-outside-of-ourselves by projecting into the past and the future. Levinas, in his earlier work, replied that while we do project in these ways (we remember, make plans etc.) ultimately the future comes to us from the outside, not the other way around. In that respect, and to be more than a little glib, maybe kids are more Heideggerian about Christmas and adults are more Levinasian. Kids long for what for adults seems to come at them earlier and earlier every year. 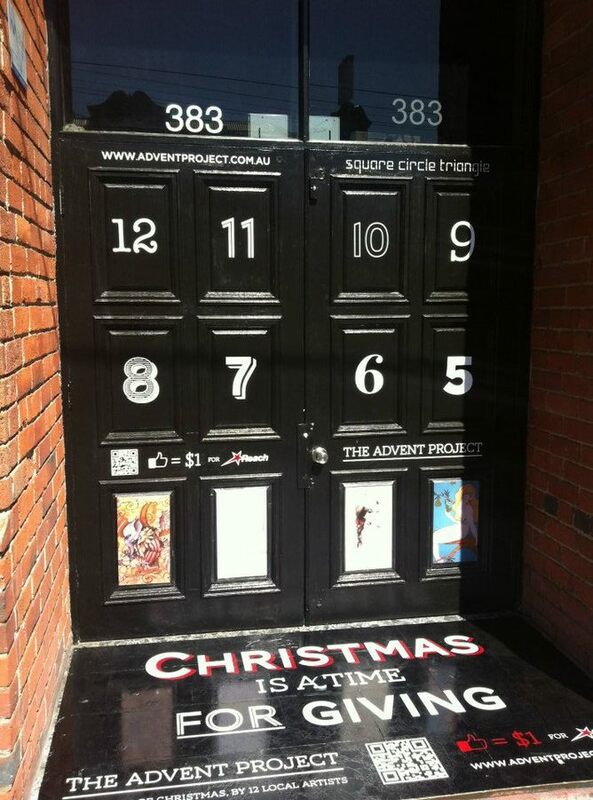 (Though even here there’s an interesting microcosm of time: unlike Christmases themselves, the windows of an advent calendar aren’t merely punctual and repetitive, but build up to that Boss-level window you get to open on the 24th). Of course, Christmas always comes around at exactly the same interval, a couple of days after every second solstice. (Time, says Heidegger, first appears in the sky). As some analytic philosophers like to say, and others like to mock as a meaningless statement, time flows at the constant rate of one second per second. Yet most of us report that the time between Christmases seems to get shorter and shorter, as if time was speeding up. Christmas is one of those events that exposes the gap between ‘chronological time’ and ‘phenomenological time’ as Ricoeur puts it; between the time of clocks and calendars, and the time that flies when you’re having fun and drags when you’re bored. And like boredom, once Christmas does arrive it discloses something else: that for all our pretensions to ‘time management,’ time ultimately escapes our control. We spend most of our lives embedded in ‘economic’ time, carving it up into days and hours as units of work and expenditure; we ‘spend’ time, ‘waste’ time, and even ‘invest’ time and energy. Once we did this according to the sun and the seasons; with the coming of the factory and the railway, with their schedules and timetables, time became ever more fine-grained, regulated, and economically structured. But Christmas takes as long as it takes, so to speak. Just as the experience of boredom discloses that you can’t control the flow of time, so too does Christmas. It suspends ‘regular’ time, such that doing ‘regular’ things on Christmas Day can seem alien and strange. In his magisterial tome A Secular Age, Charles Taylor charts the process of secularisation over the last five centuries, the shift from near-universal and largely untroubled faith to the predominance of atheism in some parts of the West today. One of the main shifts he discusses is the homogenization of time. On one popular telling, the old distinction between ‘profane time’ and ‘higher time’ (eternity, the time of sacred history etc.) has collapsed. From the viewpoint of modernity, Walter Benjamin claims, everything takes place in “homogenous, empty time,” with any one point in time fundamentally no different to any other. Yet in fact, we still have ‘kairotic’ moments, where profane and higher time intersect and secular, economic time is suspended or transfigured. Some Christian traditionalists rail against an imaginary “war against Christmas” and decry the Godless, commercialised character of the season today. Yet this misses the point that even after the retreat of religious belief across the West, Christmas remains a little island of sacralised time, partially removed (at least for the fortunate) from economic, profane temporality. Those of us who celebrate Christmas without religious belief then move to fill in that sacralised temporal space with different meanings – time with family, rest and peace, giving joy to children – meanings which reach for a secularised conception of the sacred adequate to this incursion of higher time. Of course, this is all rather culturally and economically specific. A great many people do work at Christmas, without even the illusion of escaping economic time. For many it is a time of loneliness and pain. For many others Christmas is just another day, of no particular significance. Perhaps much of what I’ve said can be applied, mutatis mutandis, to Hanukkah, Ramadan and Eid al-Fitr, and other festivals. But generalisations necessarily exclude, so it’s important to be clear when our generalisations obscure and erase the experiences of others. Prev The Naked Self: Kierkegaard and Personal Identity is out!